Whether you’re a landlord or tenant then we can help you get your home spotless. Professional end of lease cleaning is a must if you are a landlord in Harrow. Rental costs in the borough are among the highest in the UK, so you will want to protect your investment. Professional, end of lease cleaning will help to maintain your property, cleaning all those easy-to-miss places like skirting boards, door handles and switches as well as a deep clean of walls and flooring. The rental market in Harrow is highly competitive and a post tenancy clean, leaving your property clean and looking well cared-for, will help your property to stand out to potential tenants. Using a professional firm for house cleaning at the end of each tenancy ensures the job is completed to a guaranteed, professional standard, leaving you free to concentrate on your core business.We are fully insured to hold keys and be in the property so there is no need to wait around. Our domestic cleaning services can be tailored to your needs. Contact us if you need professional end of tenancy cleaning. Professional post tenancy cleaning will also have major benefits if you are a tenant. Your contract might require you to professionally clean the property before you leave, or clean it to a professional standard. Your landlord may retain some or all of your deposit if the property is not cleaned to the standard required by the contract when you leave. Professional end of tenancy cleaning ensures the property is cleaned to the required standard. In fact, if you use our services for your end of tenancy cleaning in Harrow, we guarantee that you will get your deposit back! In shared houses it may be easier to share the cost of professional post tenancy cleaning services than to share the burden of cleaning. Each tenant paying a share of the cost of a professional cleaning company may well be more effective than trying to decide who cleans the oven and who does the vacuuming! A professional move out clean will be more thorough. Engaging domestic cleaning company is more likely to produce the results you – and your landlord – require. 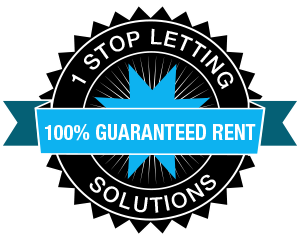 Professional cleaning companies like 1 Stop Cleaning know what your landlord expects and how to achieve it. Our house cleaning agency are on your schedule, having a clean every other week or a weekly clean can keep on top of the dirt and cause less damage to the property. Prices for end of tenancy cleaning in Harrow vary depending on condition and location, but as a guide, 1 Stop Cleaning can offer the following for a professional post tenancy clean. Contact us for your end of tenancy cleaning quotation in Harrow. • Letting you get on with your life! If you would like some cleaning tips then you can see our blog. Or better still, for the complete no effort solution, you can contact us to be your helping hand with your end of rental contract cleaning.